Kristin Valicek had a plan to celebrate her daughter Annie’s 13th birthday in a super special way. Because her birthday had passed already, Annie was totally surprised when her besties Hannah Schweitzer, Kate Weinstein and twins Lala Garofalo and Gabby Garofalo arrived in a limo to whisk her away to New York. Moms along for the fun trip were Linda Schweitzer, Paige Weinstein and Carolyn Garofalo. 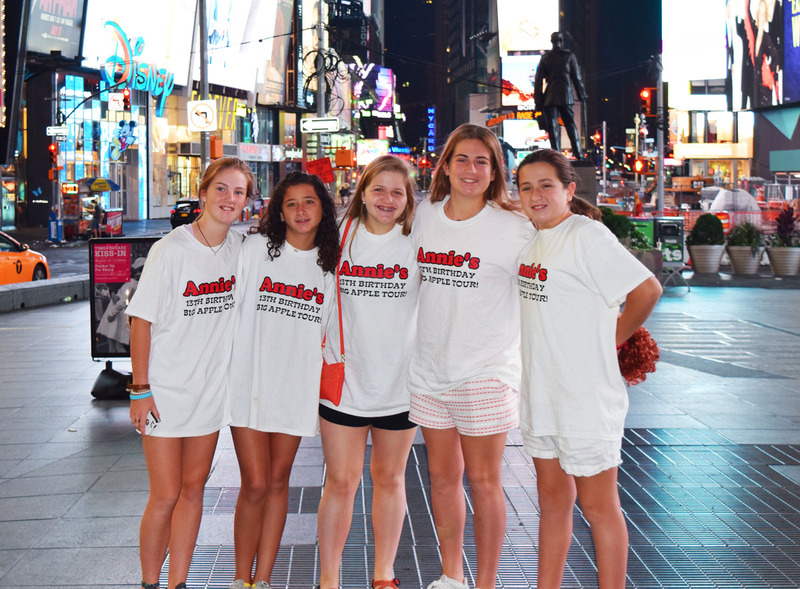 The girls stood out in their Annie T-shirts at the NBC Today morning show, and later the Fox News Friday morning show, where Alice Cooper was blasting out his classic song School’s Out for Summer. Confetti was shooting out into the audience. Tomorrow, tomorrow is another day.